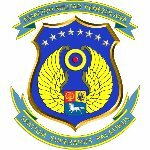 Every year the Venezuelans celebrate Aviation Day on November 27. This professional day was established to commemorate the coup attempt made by aviation officers in 1992. There were two coup attempts in 1992. The first attempt took place on February 4, and the second one took place on November 27. Both coups were directed against President Carlos Andrés Pérez. The coup of November 27 was launched by the officers of the Venezuelan air force and navy. The rebels took over the state-run TV station Venezolana de Televisión and broadcast the imprisoned leader of the first unsuccessful coup Hugo Chávez, calling on the Venezuelans to raise an uprising against President. However, they couldn't take over other TV stations, that is why President Carlos Pérez addressed the nation, declaring that the uprising failed. The military officers seized control of major air bases and bombed some targets. Their attack had little effect on slowing down the governmental respond to the coup, and it was suppressed the same day about 3:00 pm. Annually the air show is organized to celebrate Aviation Day. The ceremony begins with the singing the national anthem and raising the national flag.